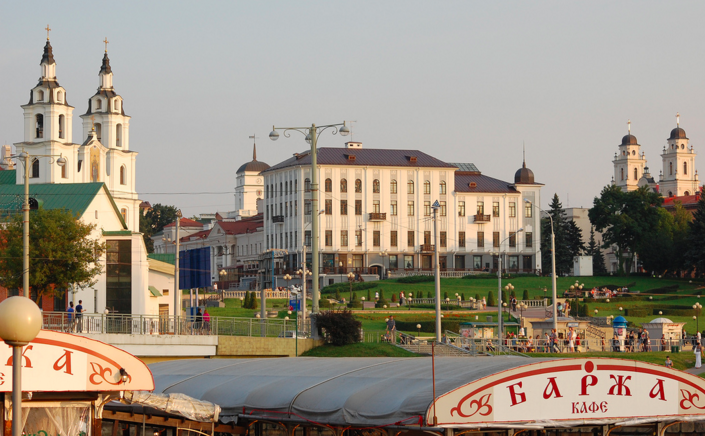 Belarus 2.0: tech’s bright spot in a struggling economy and Belarus – the new Silicon Valley? And on April 8-9 Minsk hosted Outsource People conference, a 3 years old event for industry players, which was originally held in Kiev. Clearly, it was high time for GoalEurope’s to publish updates the IT outsourcing in Belarus and the local tech scene in general. This overview will cover trends in the country’s outsourcing and software development industry, and soon we’ll follow up with a report about the local startup ecosystem. To understand the progress of the IT industry in Belarus, it will be worth to share this story. Five years ago leading software services companies in Belarus were considering to commission an industry report on the country’s IT industry to Gartner or Forrester, which asked $250K and $120K respectively. Although the companies were initially ready to chip in, it was eventually decided that the price tag was unreasonably high. Five years later, Gartner approached them and offered to do this report for free, since, given the place of the Belarusian IT industry in the world rankings, not having it in their portfolio became a disadvantage for Gartner itself. In fact, in 2012 Belarus outpaced countries such as the US, India and South Korea in software exports per capita. Nowadays, it is 1.5 times higher than in the US and India, and 2 times than in South Korea. Also, Belarusian IT industry outlooks are very optimistic compared to the rest of the economy. According to the National Statistics Committee, the country’s GDP was at $54.8 billion in 2015, which, is a 28% decrease, in dollar terms, from the previous year and is mainly the result of national currency depreciation. For a country struggling with a negative balance of payments, software development companies are heroes bringing in some cash, and they are responsible for a $730.4 million surplus in 2015. In 2015, Belarus exported $4B in services, transportation and construction services being responsible for more than 75%. The IT services are catching up reaching $818.3 million last year, an 18.5% increase from 2014. Given that the number of IT specialists is estimated at about 40,000 people, we can say that each of them earns for the country about $20,500 annually. For comparison, this figure is about $27,000 in Ukraine. The top markets are the United States, Cyprus (due to the fact that Wargaming, the publisher of World of Tanks game, is registered there), Russia, Great Britain, Germany, Finland, Ireland, the Netherlands, Switzerland, and Israel. The average salary in this 9.5 million people country is at $300-$400 level. For quite a while, the government’s proclaimed goal was to reach the $500 mark – and they did in December 2012, but soon this achievement was offset by the depreciation. For the reference, in April 2011, the US dollar cost 3,000 BYR, a year later – 8,000 BYR, in 2015 -14,400, and 19,300 BYR today. IT companies employ less than 1% of the total workforce in Belarus, but the share their wages in the economy grew from 2.8% to 4.9%. There are around 1,000 software development companies in Belarus, more than 650 of them are in outsourcing, and 80 are R&D centers of international companies such as HTC, Sony, Fitbit, Viber. 152 companies are members of the Belarusian technology park, Hi-Tech Park, which grants special legal conditions with low tax rates and other privileges. By the way, in 2015 HTP companies exported $705.6 million of software development services. Remember, the total of IT exports is at $818.3 million? It’s worth having a look at the trend in freelancing. According to the top$devs research, based on more than 700,000 projects from the largest freelance marketplaces, in 2015 the share of Belarusian freelancers grew to 6%, which is a 69% increase from the previous year. The share of the pie of the Ukrainians is still the biggest one (31%), but it diminished by 8% for the second year in a row. Some 1,500 developers got hired by IT companies, and an estimated 2,000-5,000 IT specialists left for Poland, Belarus and other countries. In the situation when the local currency depreciates on a regular basis software engineers are happy that their salaries are pegged to the USD. Thus, their income in Belarusian Rubles and purchasing power are actually growing. In fact, they can afford quite a lavish lifestyle compared to the employees in other sectors of the economy. The influx of software engineers from Russia and Ukraine following the armed conflict and economic crisis also had an impact on stagnant IT wages. In contrast with Belarus, Russian salaries are nominated in the national currency, that’s why when the Russian Ruble depreciated in 2014-2015, outsourcing to Russia became cheaper at some point, but the prices are catching up. The sizable increases in salaries in 2012-2014 resulted from the emergence of strong market players. Several local companies with a product model have seen a success, and quite a few international companies opened captive centers in Belarus. They competed for talent among themselves and also with outsourcers drawing the wages up. Viber, a messaging app with over 700 million downloads, built a strong team in Brest and Minsk. HTC bought a development company in Minsk. Viaden developed and marketed several successful mobile social apps, including for online gambling. World of Tanks, a multiplayer online game developed by Wargaming, gained an impressive popularity tens of millions. of users. In 2013 Taucraft (Belarusian, but registered in Cyprus) released the 3rd version of Targetprocess product, a visual project management software for agile teams that won several industry awards and soon became very successful. Apalon’s simple but beautiful apps, such as alarm clock, calculator, notepad, weather, wallpapers, kept rocking the TOP charts in Google Play and in the App Store. To stay competitive – as an employer and as a service provider, many software outsourcing companies in Belarus developed niche expertise enabling them to provide high added-value services at higher rates. Clients entrust them with building large parts (or whole) solutions and system architecture, and not just coding based on ready specifications. According to the data from the Hi-Tech Park, 30% of employees of their member companies work on fintech projects. Just to name a few brilliant examples, exp(capital) develops a proprietary high-frequency algorithmic trading platform for financial instruments, EPAM Systems, traded on NYSE, has a strong competence in financial services and is a solutions provider to some leading financial institutions such as AMEX, Barclays, Citibank, Mastercard and many more. Several companies developed expertise in healthcare and telecommunications, cybersecurity, video-processing, big data. GP Software has specialized in the travel industry, has its own customizable platform and carried out more than 450 projects. Epam ranked 8th in the Forbes Fast Tech 25, with a three-year average sales growth of 29%, ahead of Amazon and Alphabet (you know it’s Google, right? :)). At Outsource People I’ve heard an interesting statement: among 45 surveyed Belarusian outsourcing companies, 66.7% already had their own products, and 15.6 % were developing one. This is in line with the results of GoalEurope’s own research. Obviously, most of the product development efforts never pay out due to the lack of product/market fit, weak marketing expertise, and/or inadequately low promotion budgets in a competitive market. Outsourcing companies with product ambitions are in fact trapped in a well-being ensured by the service model. Indeed, it makes more sense to allocate available resources to the project of a paying client, and investment of money and developers’ time in own products with uncertain future is often not a priority. But success stories happen and they inspire IT entrepreneurs in Belarus. Apalon, which rocked the app stores with a host of apps and was acquired by a leading media and internet company IAC, grew out of an outsourcing shop (we have a more detailed story in this article). Pandadoc, a sales automation and document management solution, together with proposal software Quoteroller were co-founded by Mikita Mikado from Belarus. The idea was born when after a long working day in his outsourcing shop Mikita, a technical guy, had to work on a proposal for a customer. Customers working with outsourcing companies in Belarus acknowledge they are getting great skills at an affordable price. They also appreciate that the developers provide realistic estimations and work with a sense of urgency. If you add to this a decent size of the talent pool and tax incentives from the state, you’ll understand why startups and big corporations chose Belarus to set up R&D centers. For example, Talmon Marco and Igor Magazinnik developed Viber in Belarus, and now have about 50 people working on their second project Juno, a future rival to Uber. Here’s a non-exhaustive list of corporations that opened their captive centers in Belarus: Fitbit, IHS, Netcracker, Playtika, Yandex, HTC, Netologic Inc., IHS Global. Contact us if you need advice on selecting an outsourcing supplier or opening a development center in Belarus, GoalEurope helped enterprises and startups select trusted development partners and build teams of 2 to 60 people.